Bringing plants indoors can be a tricky situation. Take me for example, I bought a cactus so that it would outlive the horrible deaths that my other plants have endured and guess what the sucker has mold on it. Can you believe it?! Therefore solutions have been made and one can make new from old. 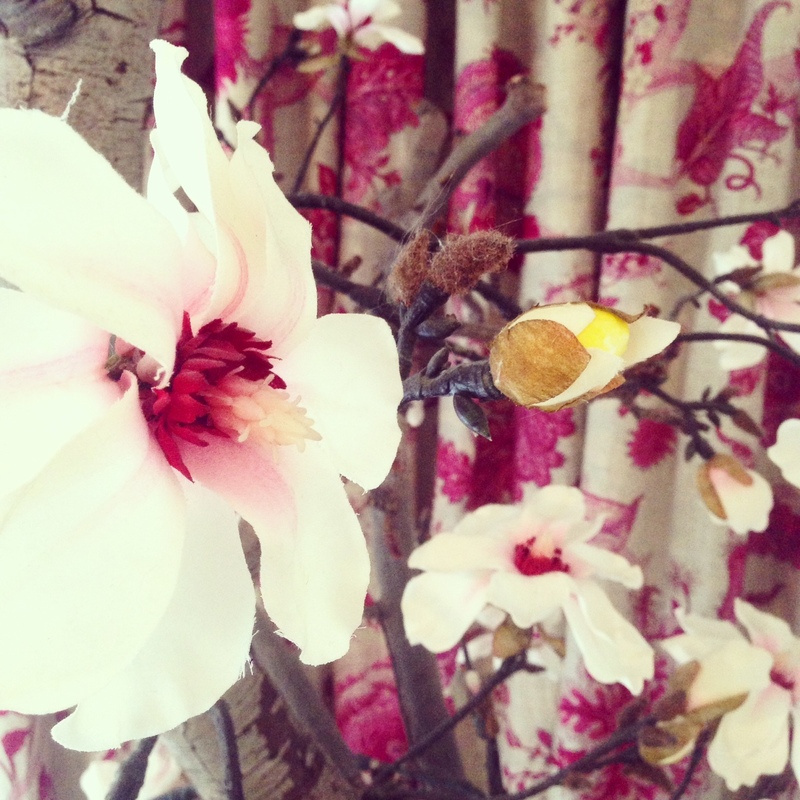 This Magnolia Tree was welded out of an old pear tree and was combined with faux magnolia flowers. The flowers are attached to the tree by making small holes in the stem and branches in which the fake ones could be inserted and glued. To give it that extra flower power I combined it with a vibrant asian flower curtain to let the white flowers take you by surprise.